Traveling from the United Kingdom are coaches and players from the Glasgow Rangers. The club holds the great honour of having won more trophies than any other football club in the world. Rangers currently play in the Scottish Premiership and are based in the vibrant city of Glasgow. The team has won the league title an impressive 54 times and won the Scottish Cup 33 times and the Scottish League Cup 27 times. The club was established in 1872, and is one of a handful of original Scottish Football League members. Over the years, the club has enjoyed many additional successes including winning the European Cup Winners Cup. They will be here to conduct a camp for Arsenal and HYSA players. 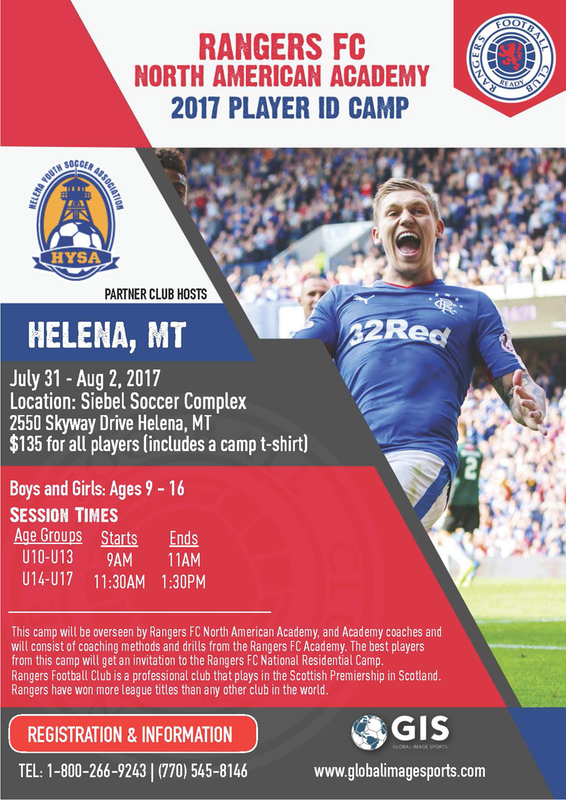 Registration for Rangers FC Camp opening soon !